Over-the-air television is making a comeback. Before 2009, it wasn't a highly favored way to watch TV because of its analog signals that were often spotty and blurry. When the laws changed in the United States, the signal went from analog to digital and residents across the nation were able to get clear reception in high definition. 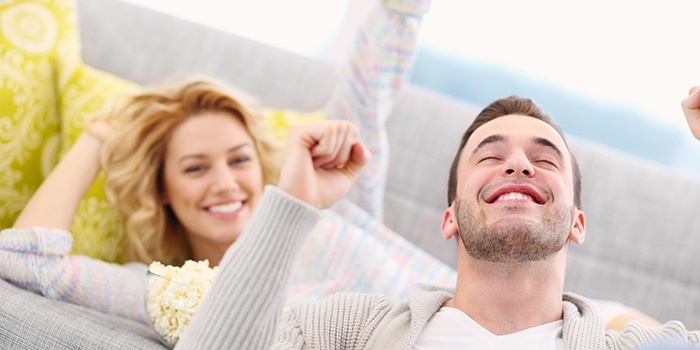 With all of today's TV-viewing options and their associated costs, over-the-air (OTA) broadcasting provides some relief. It has taken a while to catch on, but more and more viewers are seeing the benefit of getting a good antenna to provide them with free local channels and a high quality image. With cable and satellite TV and the plethora of Internet streaming services, it's easy to forget about the OTA solution. Some people don't want to deal with the installation of an OTA antenna or some people just want to turn on their smart TV and pick a previously aired show. But can you imagine having your preferred TV subscription supplemented with free, local channels? In some cases, like with DISH, you can even lower your monthly satellite TV bill by removing local channels from certain DISH channel packages and replacing those same channels with an OTA antenna. 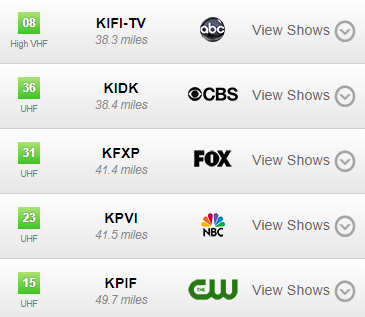 Now you've got free locals combined with a DISH channel package at a lower monthly cost! For all of the cord cutters that only have a streaming service, they can't get access to channels like NBC (to watch programming like the Olympics) unless they subscribe to cable or satellite TV or get an antenna. If they are already cost-conscious, then the antenna is the best option. They can pay a one-time installation fee to a local installer and they'll be ready to enjoy free local channels. Which Over-The-Air Antenna Should You Use? Many resources exist to help you find the right antenna, but we recommend using the Winegard HDTV Digital Antenna Selector, since many of the OTA antennas from Winegard are available through the DISH Authorized Retailers that have teamed up with RS&I. When you've determined the distance of the broadcasting towers, you're ready to pick an HDTV antenna to bring in the signal at the right strength. As you're making a decision, keep the disclaimer in mind on Winegard's Selector tool: "All antenna recommendations are based on having line-of-sight with no obstructions. Please be aware that attic installations will reduce signal by 50% and roofing made of cement tile, clay tiles or metal will reduce signal by 90%." So make sure you've got a clear line-of-sight and be aware of any roofing materials that will reduce the signal. In many cases, you'll want to install the antenna on the outside of the home to get the best reception. There are several antenna options, but we'd like to highlight three of them which have been shown to produce an excellent signal. The Winegard Elite 7550 is capable of receiving very high frequency (VHF) and ultra high frequency (UHF) signals from up to 70 miles away, and has an embedded amplifier with Clear Circuit technology to give you the absolute best signal quality. It can be installed in an attic or outside the home. It's also much smaller in size than the old antennas, which makes it more stylish and less noticeable from front of your home. 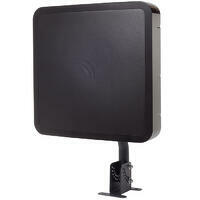 The FlatWave Outdoor Antenna is capable of receiving both VHF and UHF signals from up to 60 miles away. It can also be installed in an attic or outside the home. It doesn't look like a traditional antenna, so your neighbors and friends may not even know it's designed to bring in a high quality HD signal. The innovative USB power supply provides energy savings by only consuming power while the TV is powered on. The FlatWave Indoor Antenna is designed to be attached to any window that faces the broadcasting towers and has a clear line of sight with no obstructions. 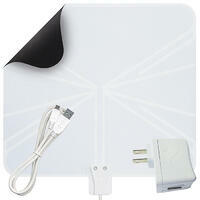 It's an inexpensive way to get high-definition television and it can receive signals from up to 50 miles away. 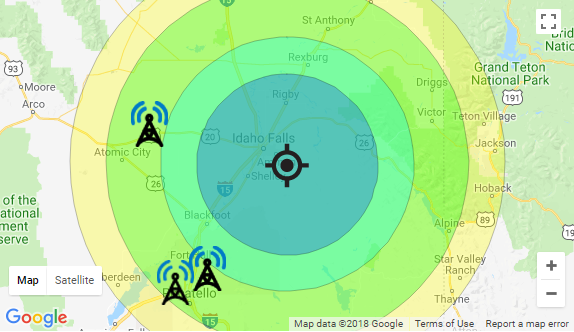 The antennas highlighted in this article are most often available from your local DISH Authorized Retailer, especially the retailers that work with RS&I. They are experts in installing antennas and cabling and can make it a quick and painless experience to get you set up with free local channels. To find your nearest retailer, go to DISH's Find a Retailer page and enter your zip code. You'll get their name, contact info and address. Help your local community with the pursuit of over-the-air television and become an authorized retailer. 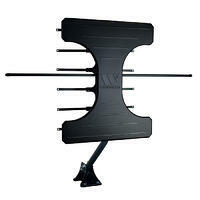 It's an excellent way to start a business and earn income selling and installing OTA antennas. If you'd like to learn more, feel free to contact an RS&I representative and we'll be happy to answer your questions. Most of all, we hope we've explained the benefits of getting free local channels and how to get your home set up with the right solution for you and your family. If you join the OTA comeback, you'll soon be enjoying high-definition TV and you won't be paying for a subscription or a monthly fee. Get started today! Photo Credit: Several images in this article are credited to www.winegard.com.